It is easy to miss the nondescript St. Maron Church at the corner of 10th and Ellsworth Streets in South Philadelphia, just blocks from the National Shrine of St. Rita. Except for some signage, the building looks not much different than the neighborhood’s other buildings. But what wasn’t easy to miss the weekend of March 11-13 was the constant stream of 700-800 people going in and out of the small, yellow brick edifice. They came from as far away as northern New Jersey to spend some time in the presence of a saint. The saint in question is one few people in the Catholic Church’s Latin rite know: St. Sharbel Makhlouf (1828-98). Raised in a fervent Christian household, he desired from early on to be a hermit monk. He entered a Maronite monastery in 1859, taking the name Sharbel after a second century Syrian martyr. In 1859 he received ordination and was assigned to St. Maron Monastery, where he stayed for 16 years. Then in 1875, Father Sharbel’s superiors allowed him to live apart in a hermitage. Here he perfected the mortifications and austerities he had begun in his youth. He ate very little, owned nothing and slept on the ground on a straw mattress, using a plank for his pillow and a goat skin for his blanket. At an elevation of roughly 4,600 feet, it snows in this part of Lebanon. So during the winter months, he had little protection in his hermit’s hovel against the elements. Being a priest, he kept the Eucharist in a small tabernacle in his shack, and he would spend hours before it, kneeling on a rack of canes. Sometimes he prayed the entire night, so inebriated was he on the Divine Presence. But the further he became detached from the comforts of the world, the closer grew his attachment to Jesus and the Blessed Virgin Mary. Finally, he died on Christmas Eve, and his fellow monks buried him in their cemetery. For 45 evenings thereafter, passersby noticed light pouring from his tomb. This drew crowds of spectators. 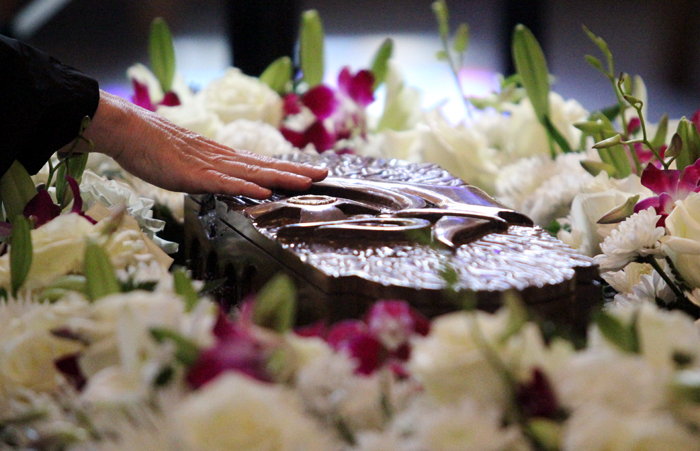 Finally Father Sharbel’s coffin was removed. Despite mud and rainwater having seeped in, his body had not deteriorated one bit. It was supple like a living person’s. His body was clothed in a fresh habit and placed in a wooden coffin, which was kept in a corner of the monastery’s chapel. Twice a week, though, the monks had to change the habit because it kept getting soaked with a mysterious oil known to weep from the body of saints. Sweat and drops of blood also flowed. 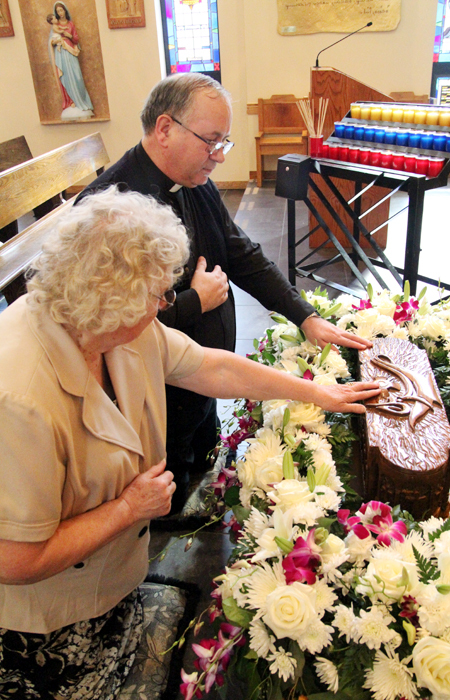 Father Sharbel’s body was next interred in a zinc-lined coffin and buried in a chapel wall. Liquid leaked from one of the coffin’s corners through the plaster, however. In the Holy Year of 1950, the tomb was reopened, and his body was still incorrupt. The oil, sweat and blood continued to flow. Thousands of pilgrims flocked to the monastery. Not only were the blind enabled to see and the lame made well, but conversions were affected, even by Muslims. Blessed Pope Paul VI beatified Father Sharbel in 1965 (the body had decayed by this point) and then canonized him in 1977, the last saint declared by the pope before his death. St. Maron’s pastor, Father Vincent Farhat, reflected on what he observed during the flow of pilgrims to his church last weekend. Father Farhat believes St. Sharbel matters not only to Maronites but to all Catholics “for the same reason St. John Paul II isn’t just for the people in Poland,” he said.